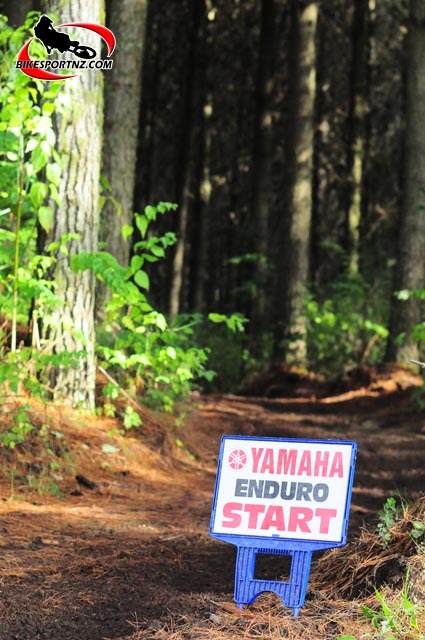 This weekend is the third round of seven in the 2019 Yamaha and Mitas Tyres-sponsored New Zealand Enduro Championships and this time it is forestry land on the Central Plateau that will tempt, tease and ultimately torture and tire out the cream of New Zealand’s off-road motorcycle racers. The series kicked off near Whangamata in March and then coaxed competitors to round two on the Kapiti Coast, near Porirua, two weeks later. This time it is dense forestry near Tokoroa that will push riders to their limits, the venue for Saturday’s event signposted from State Highway 3, on Tram Road, off Onegaroto Rd (SH30), Atiamuri, about halfway between Tokoroa and Taupo. Helensville’s Tom Buxton dominated the day on the AA course at Whangamata, the 20-year-old finishing ahead of Cambridge’s Dylan Yearbury that day. Results were reversed at round two and it’s doubtless that these two individuals will continue their dirt bike duel near Tokoroa this Saturday. Thames rider Jason Davis, Whanganui’s Seth Reardon, Wainuiomata’s eight-time national moto trials champion and now enduro expert Jake Whitaker and Stratford’s Josh Hunger should also be respected this weekend, while Christchurch’s Josh Dando has shown he could be a contender with his improved sixth placing at Kapiti and Cambridge pair Beau Taylor and Ashton Grey have finished consistently among the top 10. Leading rider on the A course has been Tokoroa’s Nick Wightman, with two wins from two starts thus far, while Thames rider Natasha Cairns has hounded him all the way. “The track at Tokoroa is always a good test for the riders,” said Motorcycling New Zealand enduro commissioner Justin Stevenson. “If the course is similar to last year’s event there, then it will be tough.